REI sales are a terrible thing. I consider myself highly resistant if not reasonably immune to rampant consumerism, however gear shops have a way of bending my resolve like nothing else, and like Backcountry Jesus I have accepted REI into my life so completely that it’s impossible to escape the Good Word of 20% Savings. Wherever I turn, from my mailbox to my email inbox, even the damn app on my phone, I’m bombarded with the need to get more stuff. On the street, gear shops and surplus stores beckon me with a relentless siren call. And I always, always waver. For my inaugural post on this site, I published a list I had compiled for road trips and car camping that had stood by me for quite a while. While the whole point of a list is to not forget anything, the list itself is not exempt from this and has grown some, as well as expanded on a couple areas. Still largely focused on car camping, most of the items do however translate well into a backpacking checklist, usually just depending on the size of the gear. This stuff on hand, I usually feel prepared to go just about anywhere. Typically when people think of Thai food they think curry, rice, noodles, and, for those with a less adventurous stomach, massive indigestion. Less consideration goes to the fact that traditional Thai food is all about fresh ingredients that can make for some very healthy dishes. 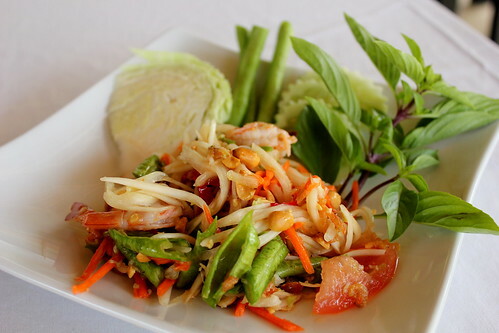 One of these I recently became obsessed with during a trip to southern Thailand: Som Tam, or green papaya salad. It’s really not a question of whether you will have a camera with you when you travel anymore, it’s now more a matter of how to take the best possible photos with what you have. From the instant-upload cameraphone snapshots, to the compact crowd wanting some decent holiday photos, to the DSLR enthusiasts trying to capture the perfect shot, everyone is trying to get just the right angle. 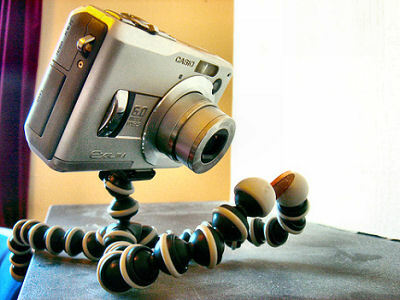 With the Gorillapod, the world is your tripod.